Screenwriting books. This might be a surprisingly controversial post. Different writers navigate the learning curve differently. Some turn to the shelves and shelves (and entire stores) of screenwriting books available, looking for the one that will have the magic formula, the secret key that makes screenwriting easy. And others think screenwriting how-to books are the root of all evil. I’ve spent time in both camps. I’ve read maybe 90% of the screenwriting books on the market. Many of them felt like a waste of time. But not all of them. There are screenwriting books I still reference regularly. Last week I had two conversations that inspired me to gather all of my top picks into one place. First, a producer friend asked me to recommend some screenwriting books for a writer he’s working with who’s transitioning from playwriting to screenwriting. That prompted me to think about which ones, if any, I’d be willing to stake my reputation on. 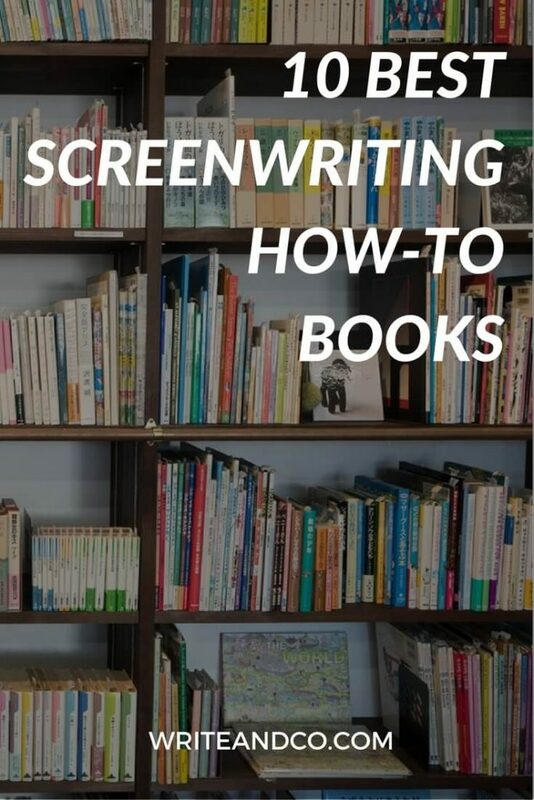 Then, in the Screenplay Lab Facebook group, someone new to screenwriting asked the group if she should bother reading screenwriting how-to books. Or if it’s better to avoid that potential rabbit hole and just learn by doing (and reading scripts). A lot of people in the group told her not to bother, but… even after reading so many unhelpful ones, I still think there’s good to be gotten from reading some. + New ideas. For me, at least, reading always sparks new ideas. There’s something about the act of reading itself that frees up my subconscious to grind away on whatever story I’m currently trying to work out. + Insight is valuable. Even though many of the screenwriting books say the same thing in different ways, one of those ways could make sense to you in a way that the others don’t. + Learn by example. More than all the theoretical stuff, I like reading specific case studies. I don’t have time to watch and study every movie, so if someone else has done some of that work for me – great. I accept. – Information overwhelm. There’s so much out there you could waste days just looking through the options, and never even get down to the actual studying, absorbing, and implementing. – Analysis paralysis. Too much studying and prepping to write can make you afraid to start. – Procrastination. Your subconscious is sneaky, and may just be looking for more stuff to do (like the easy task of reading) instead of writing. In my opinion, the benefits outweigh the potential drawbacks. But everything in moderation, right? Choose your resources carefully. A caveat: this one is dense and academic, to the point that it’s not going to be for everyone. I’m not a McKee acolyte or anything, and I wouldn’t recommend his first doorstop of a book, Story, but this one has enough helpful analysis that it’s worth reading if writing strong dialogue doesn’t come easily to you. Includes a useful section on shaping scenes, too. I like all of Martell’s books, but this one in particular for its focus on topics that aren’t covered extensively elsewhere. Supporting characters are often overlooked by beginning screenwriters. This one is deceptive. I read it a long time ago and thought – well, that was kind of obvious. Now, having just read it again, I think the breakdown of 3rd act elements is insightful in a way I didn’t appreciate when I didn’t know quite as much about how a screenplay is put together. Full of great exercises to help you improve your skills. I don’t know where Eric Heisserer found the time to write this, what with all of the amazing movies he’s writing, but I’ll take it. * Yes, these are affiliate links. All proceeds go to Wags & Walks animal rescue. I stand behind every recommendation. You’re lovely. Your write-ups are always insightful and discerning. They reflect good understanding of the wondering minds of aspiring writers. Thanks a lot. You’re making me blush! Thank you for the kind words, Bolurin. Great list Naomi. As a former playwright myself I found the transition to full-screenwriter extremely difficult. One book that helped greatly was “The Mini Movie Method” by Chris Soth. It breaks down the three act structure to more defined units, providing the writer with a more rigid path underfoot. 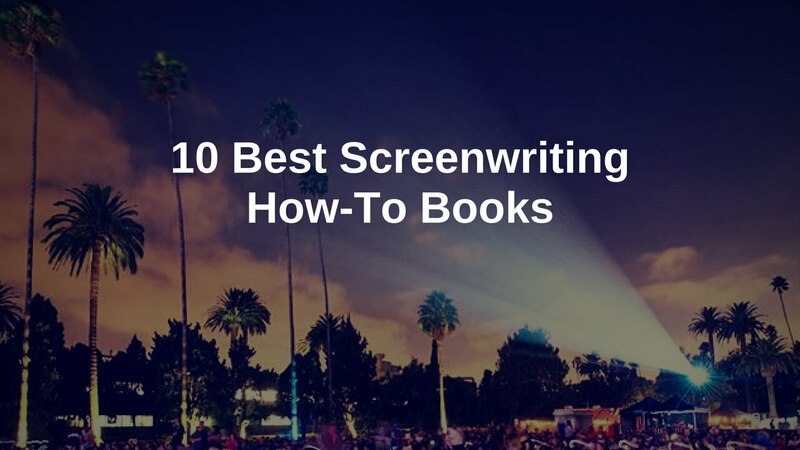 I would also recommend two particular screenplays: “Michael Clayton” by Tony Gilroy (for its swift action descriptions); and “Nightcrawler” by his brother Dan (for the way it gets the reader’s eye flowing down the left-hand margin). I see you already host the latter. Good choice. Thanks, Steven! I haven’t read Chris Soth’s book, but I do often think of my stories in 8 “chunks,” similar to his Mini Movie Method. I’ll have to give his book a read. Good tip! And agreed — you can read pretty much anything by either Tony or Dan Gilroy and be completely entertained and awed by the writing. “Nightcrawler” is like screenwriting candy. “The Bourne Identity” is also a good read, if you’re looking for another. Hello Naomi, that is an interesting list, I don’t know almost all of them, and I thought I had already read a lot. Bummer. I was wondering what you think of John Truby’s ‘Anatomy of story’? Glad to see that I’m on the right track. I’ve got a few screenwriting books, The Screenwriter’s Bible among them. You give such useful advice! Thanks so much, Stephen! Yes, Trottier’s book is a solid go-to, and I love that he updates it frequently. Would love to hear which others you’ve read and thought were useful!